Stacy Garrop’s music is centered on dramatic and lyrical storytelling. The sharing of stories is a defining element of our humanity; we strive to share with others the experiences and concepts that we find compelling. Stacy shares stories by taking audiences on sonic journeys – some simple and beautiful, while others are complicated and dark – depending on the needs and dramatic shape of the story. New Music USA and the League of American Orchestras have chosen Stacy and the Champaign-Urbana Symphony Orchestra as one of five orchestra/composer pairings for Music Alive’s 2016-2019 residence program. During the residence, Stacy is having performances of her works with the Champaign-Urbana Symphony Orchestra while running several outreach programs for organizations and schools throughout the Champaign-Urbana region. She has also been chosen by Chicago Opera Theater to be the inaugural Emerging Opera Composer of Chicago Opera Theater’s new Vanguard Initiative for 2018-2020, during which she will compose two new chamber operas. Stacy has received numerous awards and grants including an Arts and Letters Award in Music from the American Academy of Arts and Letters, Barlow Prize, Fromm Music Foundation Grant, three Barlow Endowment commissions, Detroit Symphony Orchestra’s Elaine Lebenbom Memorial Award, Boston Choral Ensemble Competition Contest, Utah Arts Festival Composition Competition, Pittsburgh New Music Ensemble’s Harvey Gaul Composition Competition, Raymond and Beverly Sackler Music Composition Prize, Sorel Medallion Choral Composition Competition, and competitions sponsored by the Civic Orchestra of Chicago, Omaha Symphony, and the New England Philharmonic. She has participated in reading session programs sponsored by the American Composers Orchestra and Minnesota Orchestra (the Composers Institute). Theodore Presser Company publishes her chamber and orchestral works; she self-publishes her choral pieces under Inkjar Publishing Company. Stacy is a recording artist with Cedille Records with pieces on ten CDs; her works are also commercially available on Blue Griffin Recording, Chanticleer, Chicago a cappella Records, Equilibrium, Innova, Peninsula Women’s Chorus, Ravello Records, Saxophone Classics, Summit Records, and Warner Classics. Stacy’s catalog covers a wide range, with works for orchestra, opera, wind ensemble, choir, art song, various sized chamber ensembles (including string quartet, piano trio, and saxophone), and an evening-length oratorio. She has been commissioned and performed by the Albany Symphony, Detroit Symphony Orchestra, Minnesota Orchestra, and the Grant Park Music Festival Orchestra; by Capitol Saxophone Quartet, Gaudete Brass Quintet, and Kronos Quartet; and by Chanticleer, Chicago a cappella, Piedmont East Bay Children’s Chorus, San Francisco Choral Society, and Volti. Additional performances have been given by the Cabrillo Music Festival Orchestra; Amarillo, Charleston, Columbus, Illinois, Omaha, and Santa Cruz Symphony Orchestras; by the Avalon, Biava, Cecilia, Chiara, and Enso String Quartets; by Aspen Music Festival Contemporary Ensemble, Fifth House Ensemble, Lincoln Trio, New EAR, Red Clay Saxophone Quartet, Stony Brook Contemporary Chamber Players, and Voices of Change; and by Clerestory, Grant Park Music Festival Chorus, and Voices of Ascension. Stacy has previously served as composer-in-residence with the Albany Symphony and Skaneateles Festival, and as well as on faculty of the Fresh Inc Festival (2012-2017). 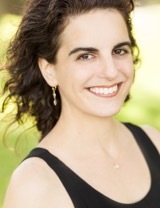 She has attended residencies at the Aspen Music Festival, Banff Centre for the Arts, MacDowell Colony, Millay Colony, Oxford Summer Institute, Ragdale Colony, Round Top Music Festival, Ucross Foundation, Wellesley Composers Conference, and Yaddo. As an educator, Stacy has created innovative programs to bring music to young people. For a residence with the Albany Symphony Orchestra, she helped middle school students compose a semi-staged music production about the explorer Henry Hudson. In collaboration with the Skaneateles Festival, she designed a series of workshops for elementary, middle, and high school students in which the students learned and created musical works using Hyperscore, a computer program that allows people to write music without having to read music. After teaching composition full-time at Roosevelt University from 2000 to 2016, Stacy stepped down from her position to become a freelance composer. Stacy earned degrees in music composition at the University of Michigan-Ann Arbor (B.M. ), University of Chicago (M.A. ), and Indiana University-Bloomington (D.M. ).